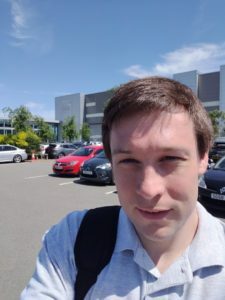 On Monday, I was at the latest meeting of the Midlands LabVIEW User Group at the MTC in Coventry (across the road from the AMRC for the IIoT event a few months ago). Lovely day to learn LabVIEW! I was presenting on Malleable VIs but also up on the projector alongside me was Ian Billingsley from CCS presenting on their pragmatic approach to test rig design using LabVIEW/TestStand and Peter Horn from NI with ‘Code Reviews for Teams that don’t have time for Code Reviews’. First up was Ian – his presentation was very interesting as it is always good to see how others are customising TestStand. It looks like they have found a robust and adaptable architecture that allows continuous monitoring of the test rig along with controlling it from TestStand. There were also some interesting discussions about when/why you should use TestStand and the benefits of building a simulation interface into your software. If you didn’t make it to the MLUG meeting, he will be giving a revised version of the presentation at GDevCon in September. Second up was Peter talking about how Code Reviews are a Good Idea™ and that if you don’t currently do code reviews, you probably should. You don’t have to implement some huge process where you sit down for 3 hours and get grilled on every wire bend. I believe in the benefits of having someone else look at your code – both to improve software quality and as a learning exercise for the reviewee/reviewer. The key message of the presentation was that you have to find a process that works for you/your team (whether that’s formal/informal/tool-driven code reviews) and to nurture the appropriate culture for them within the team (it’s not to pick faults). Finally, I gave my presentation on Malleable VIs – an introduction to Malleables and some practical examples of how I have used them in my code. I demonstrated some examples from my previous blog posts but also some fresh examples with the Type Specialisation Structure introduced in LabVIEW 2018. Whilst preparing the presentation, I discovered an obvious workaround to the property node limitation of Malleable VIs – just wrap the property node calls into a SubVI! Set Enabled State.vim – Various supported use cases of the Malleable VI for enabling/disabling controls. 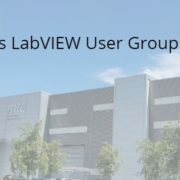 LabVIEW User Group meetings are a great way to network with and learn from fellow LabVIEW developers. Thanks to Argenta for organising another successful MLUG.